Pie crust still intimidates me. I know how to make it, with all the tips necessary to create a tasty, flaky crust. Still, when the time arrives, my palms start to sweat, my heart skips, and my neck muscles get tense. Why so nervous? It’s because, in spite of following the recipe exactly every time, the end results are not guaranteed. Sometimes the crust shrinks in spite of chilling it before baking. Sometimes it’s tough instead of flaky. That’s why I was excited to discover Pie Birds Pie in Topeka. 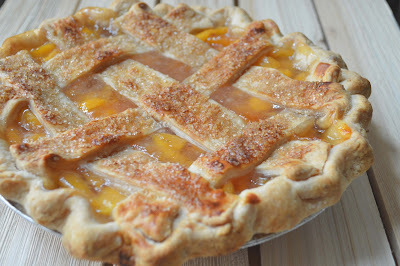 Chef Michelle brought me this peach pie to try out, and a neighbor shared a slice of her chocolate cream pie. Before starting her pie-making business, Chef Michelle worked for the Break Room and Juli’s Bistro here in Topeka. Now she makes pies and teaches cooking classes at Moburts downtown. 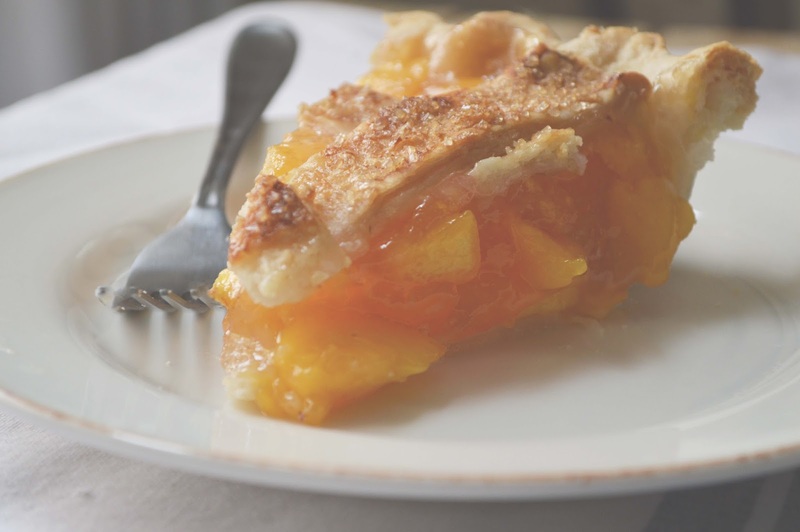 Her pies are made with seasonal, locally sourced ingredients, so her menu changes with what’s available. How did the pies taste? The peach was delectable—beautiful, flaky crust and a peach filling that was sweet, but not too sweet. I like the addition of coarse sugar on top to give it some crunch. The chocolate cream pie made me miss my Mamaw, who always made homemade chocolate pie when we came to visit. Yep, it was that good! Notice there are no photos because I ate the slice before it even occurred to me to grab my camera! Soon she hopes to offer frozen fruit pies for take-and-bake. If you live outside of the Topeka area, check with her about shipping. You can keep up to date with her offerings on the Pie Birds Pie Facebook page. While I’ll keep practicing making my own pie crusts, when I need a pie for an important gathering, I’ll turn to Pie Bird Pies for a beautiful, tasty dessert. 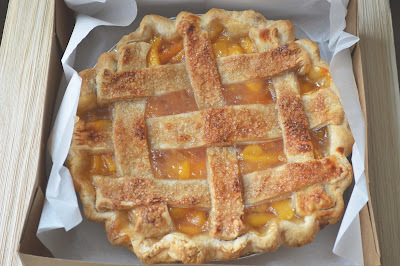 Disclaimer: While Chef Michelle gave me the peach Pie Birds Pie to try, the opinions in the post are all my own. It was delicious! My mouth is watering just looking at it! I have never in my life had a souffle, so making this fairly simple recipe shouldn't be that hard and i would love to give it a try.